That’s right. 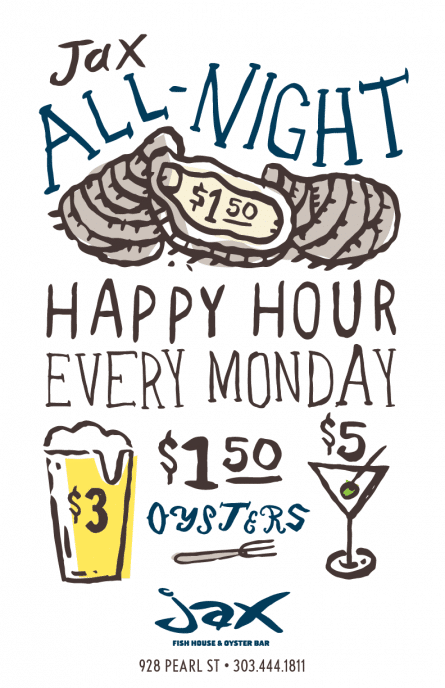 Every Monday is ALL NIGHT Happy Hour! $1.50 Oysters, $3 Beers, $5 Cocktails.